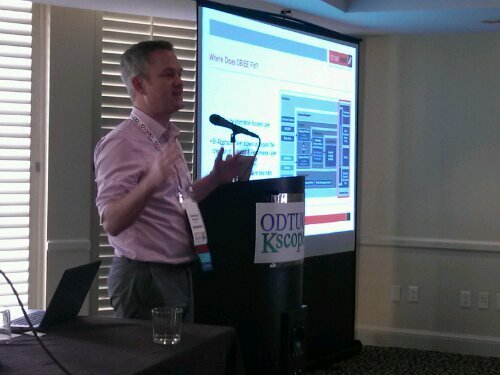 So day two in New Orleans at the ODTUG KScope13 event was another big day. I am gong to start out at the end of the day with the General Session update so if you don’t have time to read the whole post you can read the really important and interesting stuff first. 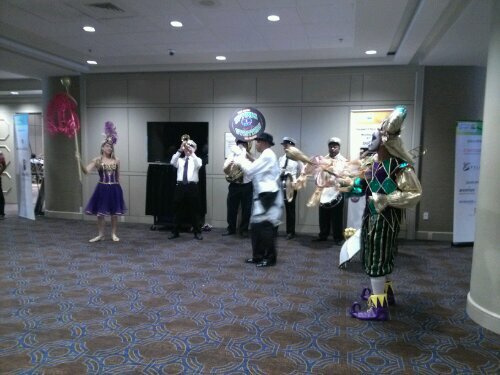 First the fun part, we got greeted by a live New Orleans Jazz band. 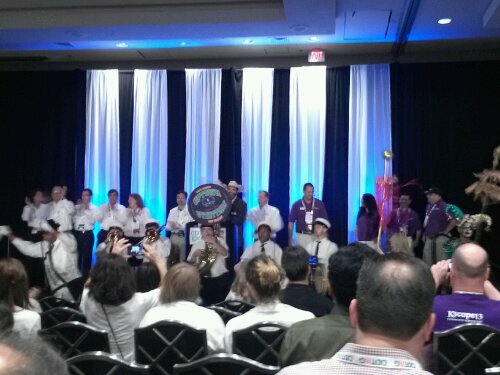 We had a live band in the lobby to greet attendees before the general session and keynote. That was great fun. They then led us all into the grand ballroom for the general session and then went out and led in our board of directors and the conference committee all dancing up a storm in true NOLA fashion. Editors Choice Award for Best White Paper went to David Schleis. The Oracle Contributor of the Year (which goes to an Oracle Corp employee) went to my good buddy, Jeff Smith. In addition to these awards, Oracle also announced the promotion of my good friend John King to the status of Oracle ACE Director. 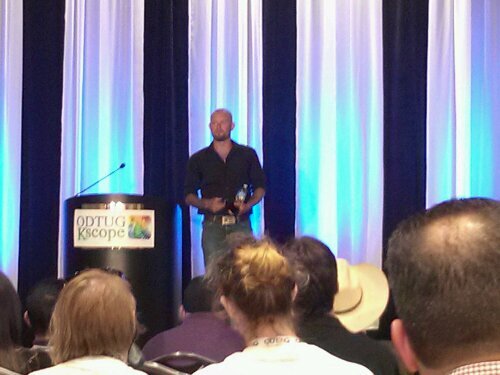 The big announcement: KScope14 will be in Seattle, Washington, USA on June 22-26, 2014. The conference hotel will be the Sheraton in downtown Seattle. The big deal for the night was our keynote speaker, Doc Hendley. He is a bartender who decided he wanted to make a much bigger impact on the world and ended up founding an organization that now brings clean water to people in over 15 countries. The statistics he gave us on how many people in the world do not have clean, safe water to drink (over 1 billion!) were stunning. And that more people die from lack of clean water than those that have died in all the recent wars put together. Another startling fact is that even though it is the biggest killer on the planet, dealing with dirty water for the poor of the world gets less than 20% of the funding when compared with funding for HIV, malaria, and TB. He has a very moving and passionate story about how he got to that place in his life where he found his real purpose, discovered these facts, and set out to do something about it. His talk (and book) tell the whole story. There were a few teary eyes by the end of his talk. Doc has shown amazing courage and perseverance in the pursuit of making a difference. He really has proven that one, very ordinary person can have a large impact on the lives of others if you really set your mind to it. I encourage you to go over to his site and learn about his mission, his story, and his organization Wine to Water. Maybe you can help him make a difference. Doc Hendley, Founder of Wine to Water, gives a moving and inspirational address as our keynote speaker. Started as always with my morning chi gung class. The group grew to about 14 people with a few new folks joining us. We had a few passersby stop to watch and try a few moves as well. After a healthy breakfast and a shower I did my first talk of the event, Five Ways to Make Data Modeling Fun. There were about 20 folks in the session and we all had a good time trying out my ideas. 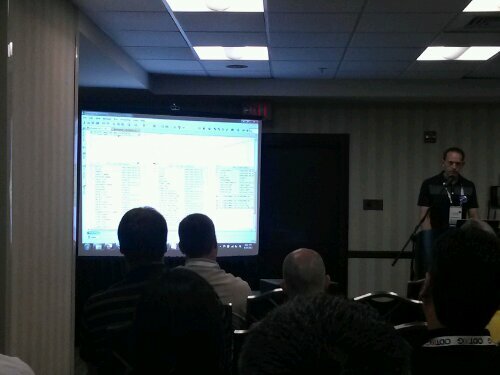 Then I headed over to hear my friend Jeff Smith talk about SQL Developer (my 2nd favorite Oracle product). After that is was another awesome lunch (beet salad and redfish!) 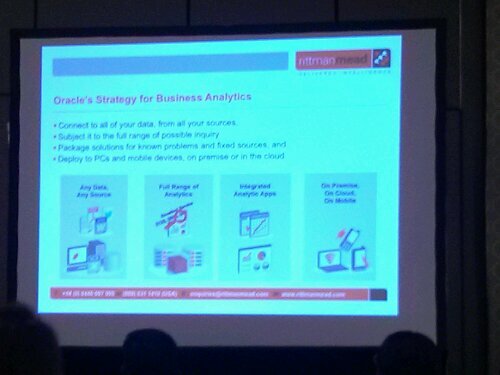 then on to Mark Rittman’s session about OBIEE, Endeca, and his take on the overall landscape of Oracle BI and data discovery in the new world of NoSQL and Hadoop. Always a good idea to get Mark’s take on things BI. Lastly (before the general session that is), I did my second presentation along with Stewart Bryson. 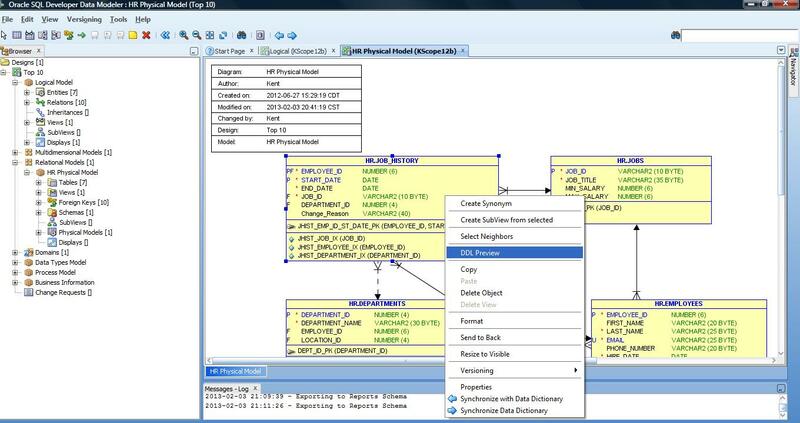 We introduced folks to the idea of using OBIEE on top of a Data Vault Data Warehouse and showed how it conformed to Oracle’s reference architecture while at the same time enabled an agile approach to BI. I can’t thank Stewart enough for taking on the challenge to learn Data Vault and figuring out how to use it effectively in OBIEE. His approach works very well and should really enable organizations to truly leverage their data and create an agile BI/DW framework. That’s it for today’s report. I should have another report for you tomorrow on activities today! P.S. Yes there was eating and drinking around the French Quarter after hours. Even got to have a drink with Doc Hendley and his wife on Bourbon Street. That was a nice treat. 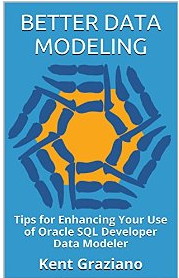 Is it possible to get a copy of the OBIEE on top of Data Vault presentation? I am currently involved in the early stages of that exact thing. Right now it is just available to conference attendees. It was presented also in February in Denver at RMOUG. Have not looked to see if they released it to the wild yet. The Data Vault and OBIEE presentation is now up on SlideShare.